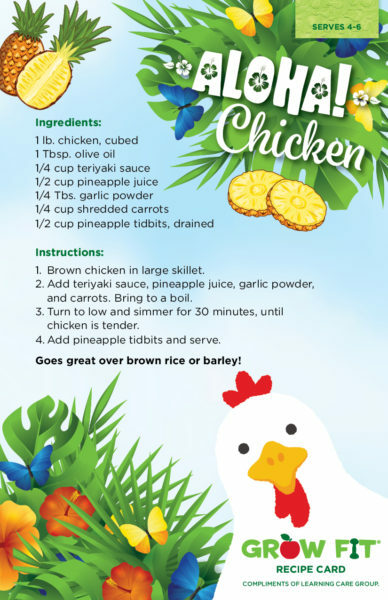 Introduce some tropical flavors into your family’s dinner with this recipe for Aloha Chicken from our Grow Fit menu! Click the image below to view the full PDF. Want more healthy Grow Fit recipes? Check out our recipes tab here!